Victory Bell Exclusive: Interview with the REAL.. The following is the official excerpt from Victory Bell’s recent interview with Michael Alvin, the “real” person behind former WSU Football Blogger, Brinkhater. 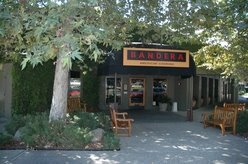 The interview took place in Alvin’s favorite restaurant in Sacramento: Bandera’s Bar and Grill off Fair Oaks Boulevard and Howe Avenue. Sacramento, CA Friday June 26, 2009 11:49pm. VB. Michael, thanks for doing the interview. VB. First of all, what’s up with using your middle name for the interview? Why not just use your real last name if you’re coming out of the proverbial closet? VB. Okay, whatever. So, why don’t you tell us briefly about the evolution of BH on this blog? VB. Excuse me, but, the question, Michael, was about BH…. MA. I was right, of course. Anyhow, Swoggs got hurt three weeks later and then Alex took over. Next thing we know, we have a quarterback controversy going into fall camp the next year. Then, the day after Alex was named the starter, I changed my blogger profile to “Brinkhater.” It made Sean so darn mad, I knew right then that I had to keep it. VB. Okay, so what made you keep the name after the initial gimmick effect wore off? MA. It did? It wore off? Seriously, I had been a HUGE fan of the Go 2 Guy and his sophomoric style for a while then, and I also had been watching a lot of the Colbert Report—or at least Colbert when he was doing the same stuff on the Jon Stewart Show. 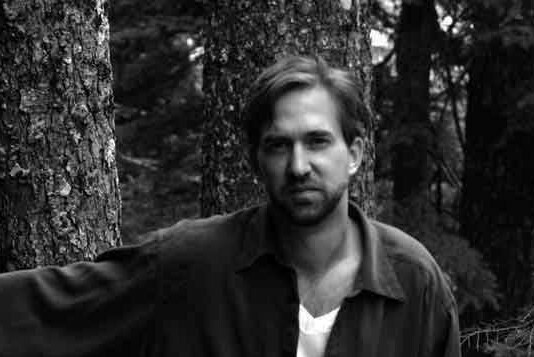 Plus, at that time, Sean had started his gig at AOL doing all the killer stuff that he did before and after for the WSU blog. But, at that time, he was totally AWOL from our blog for basically a whole season because of his AOL duties. So, I started the “hello Cougar Nation” and “Brinkhater Army” stuff in jest because there was NO ONE reading the thing. I mean, it was me just talking to myself—except this time the computer was involved. VB. But they were reading it! MA. Apparently. One day Sean e-mailed me and said that he had put a ticker on the blog and we were getting traffic. I was like, “huh?” Plus at that time, Glenn Kasses had really launched his stuff over at the Spokesman and I think that was about the same time that the public started to blog. It was all pretty weird and fast..
VB. So, again, Michael, what does this have to do with BH? MA. Okay, so the whole thing just took off. The blog started doing better and better. Alex never took us to a bowl game–which just made the character more credible–and I was having fun seeing how far I could push the evil, twisted villain thing as far as possible without alienating our entire readership—although I think BH was pretty close a couple of times to blowing the whole thing up. VB. You mentioned the word “character” to describe BH, what did you mean by that? MA. Plain and simple, BH was an act. Sometimes funny. Sometimes not funny. Sometimes offensive. Sometimes defensive. But for me, that whole persona is and was a runaway train. Too many people never caught on that it was all a joke, which on one hand I can kind of understand because beneath all the BH stuff and bravado was some pretty good and serious sports commentary. But, at the same time, I was never that comfortable ripping a college kid, especially as I went back to school with an aim toward a career in the academy. Ultimately, it just became apparent to me that being a HATER was not what I wanted to portray anymore. A change was needed and I was pretty haunted periodically about some of the comments I made in the past. So, I needed to distance myself from all of that—or at least have my jokes fall flat on a different smelling surface. VB. So, the “hater” thing had to go again because of what, Michael? MA. Again, being a hater is not how I would ever want to be identified. Being a hater is not who I am spiritually, and beyond that, it also runs totally counter to my sexuality. VB. (sigh) Whatever. So, do we ever hear from BH again? MA. Probably not. You know, I was laid off from my job of ten years this past Fall. I was the founder of a community-based project and organization that served economically poor families in Sacramento. It was my project, they let me go, and I was instantly alienated from all of the people and families that I had been working with for years. So, given the broader state of the economy and the need to change gears, I thought it would be a good way to let BH go. And, at least personally, I identified with having to say goodbye in that context. VB. So, what is next for you and the Blog? MA. The blog won’t change at all, at least in regard to its foundation. Sean was, is, and will be the star of the effort for as long as this thing goes, Hooty will be the true blue Cougar that he is and will forever be which is a GREAT thing for us, and Longball will come in whenever he can to give great stinking takes like he always does. And, as for me, I will be coming back with a new character to fill in, or add to, the blanks..
MA. Its not going to be a total Ying-Yang thing, but the new guy will be very different from BH in orientation, let’s put it that way. I’m also going to follow a bit of a Sasha Baron Cohen model with the Borat-Bruno thing. I mean, there’s a difference there, but when you look at Bruno closely, you see A LOT of Borat. So, I’m hoping that the new character will keep the good of BH and let the rest go. I also hope this new character can beat Ted Miller. I do think we can nip the 8th spot this year if we can find a quarterback. VB. Anything else you want to add? MA. Ya, are you payin’ for the drinks? 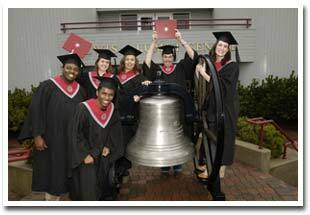 You are currently browsing the archives for the Victory Bell Exclusive category.